We offer a full range of standard cable assemblies for use in the commercial, industrial and every other segment. We possess a wide and huge variety of fast moving standard cables that are stocked in-house where the assemblies are produced using the latest technology and highly skilled labour. 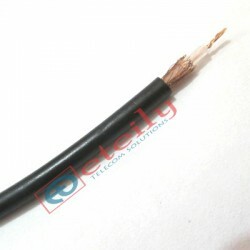 Our every quality of the cable is applied for connecting the network units to subscribers and transmitting data, computer signals with transmission features of Microwave communication systems, CATV systems, satellite communication systems, high speed, low loss and single directions. 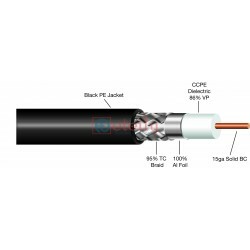 These high voltage power cables with best insulation handle maximum power and are resistant to chemicals and cold. The product range includes everything from control cables, servo cables, motor cables and robot cables to bus cables, data cables, encoder cables and fiber optic cables. They facilitate good electrical, thermal and mechanical features in countless areas because of the advantages they offer. Our cables are a high quality transmission medium due to reliability over wideband and are categorized as feeder lines for signal transmission and superior medium RF cables for signal radiation. 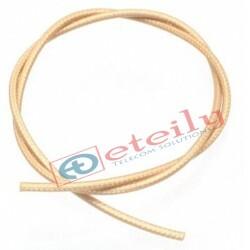 Low loss, LMR-195 type braided coaxial cable offers similiar performance compared to corrugated copper products but with higher flexibility and simplified connectorization. Can be used in almost any application where handling characteristics, improved shielding and low loss is required. Similiar to size to RG58/RG142 and uses standard connectors.